The Canadian Mountain Running Association (CMRA) is excited to announce the introduction of a series of national qualifying events leading towards the Canadian Mountain Running Championships in Golden, BC. 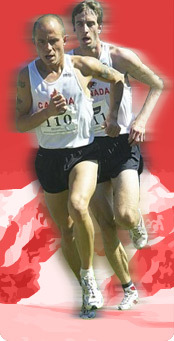 The Canadian Mountain Running Qualifying Series is a set of four of the biggest mountain running races in the country; one designated for each region of Canada. Any runner who places top 3 in their age category at any one of the four races will be automatically qualified to start at the national championships on June 29, an incredible finale to the series with a climb up the Kicking Horse Mountain resort. In Eastern Canada, the Xtrail Asics Mt. Sutton race will host the first race in the east on May 24, while in the Prairies, 5 Peaks Canada Olympic Park will host the first western race on the very same weekend. A week after on May 31, it will be Ontario�s turn, as 5 Peaks Terra Cotta will be the site of the third race in the qualifying series. It will be rounded out a week later in BC at the 5 Peaks Alice Lake on June 7. The National Championships will feature not only the senior class, but a junior and master�s category as well, so all interested runners, regardless of age, are encouraged to race one of the qualifying events. The top runners from the national championships in the junior and senior category will also be selected to represent Canada at the World Mountain Running Championships later in the summer in Italy.